We offer hikes throughout Western Mass, and usually follow these with an option to stop at a nearby restaurant, bar, brewery, winery, creamery, marketplace for picnic food, swimming hole, or community event. To see a list of our upcoming trips, click here. Have you ever thought about becoming an AMC leader so you can share your favorite outdoor places with others? We’d love to have you join our team! 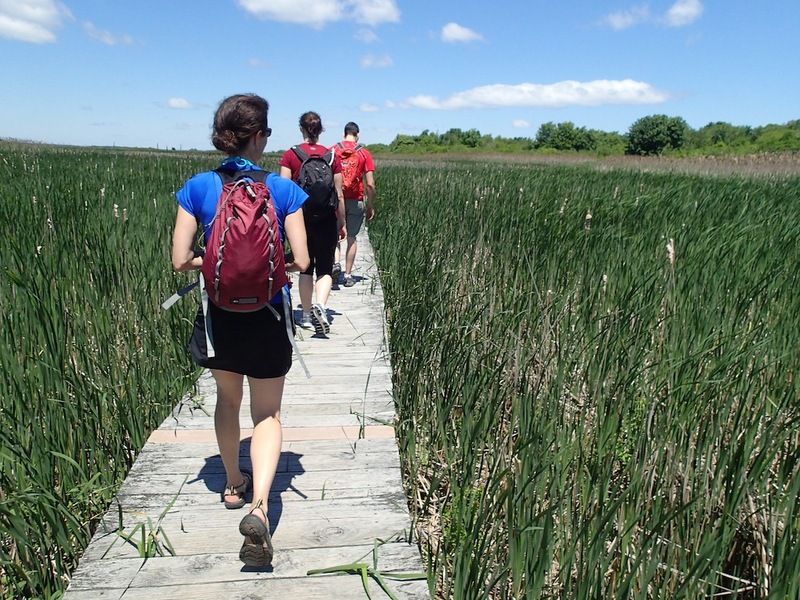 In addition to hikes, we would like to offer other outdoor activities in the future such as cross-country skiing, bicycling, paddling, mountaineering, volunteer activities, and others. Let us know what you’re interested in leading and we can help you make it happen! Just send an email to the above address, and thanks. Think Spring and AMC-Adventure Travel! There are a wide variety of excursions – check out our listings and discover your wanderlust. Are you looking for great local things to do, and new activities to try? Please come and see what AMC Berkshire is all about, or come see old friends! It's all happening on Saturday, March 23 at 6 PM at the Florence Civic Center at 90 Park Street in the center of Florence (directions). We’ll check out this historic building and setting, new to us. Ideally, we'll get a chance to socialize outdoors on the lovely wrap-around porch. We’ll have trip leaders and committee tables to show members and visitors alike where we’ve been, and show how you can get out on the trails, rivers, lakes, and mountains around us. There will also be folks from the Appalachian Trail Committee and Noble View Outdoor Center to talk about the fun of getting involved with trail work and outdoor education.